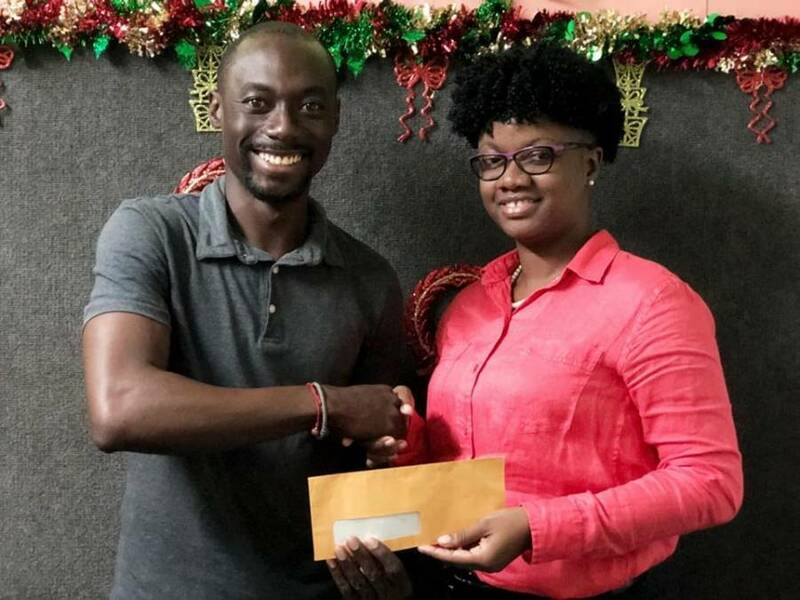 Media Workers Association of Grenada (MWAG) has come to the aid of one of its own who unfortunately became the recent victim of a house fire. On Wednesday, 31 October, the Fire Department of the Royal Grenada Police Force (RGPF) responded to a structural fire of a one-storey wooden structure at La Fortune, St Patrick belonging to Sheena Phillip-Lynch, a journalist at WeeFM. The fire has left the family incurring losses of approximately $75,000. As a result, MWAG during its annual general meeting in November has taken the decision to assist the family financially. On Tuesday, 4 December 1st Vice President Curlan Campbell, presented a cheque of $1,000 to Phillip-Lynch to assist her family’s recovery. “On behalf of my family and me, I’ll just like to say thank you to the Media Workers Association of Grenada for their contribution towards the rebuilding efforts of our home,” said Phillip-Lynch. During the cheque handover, Campbell said initiatives like these are one of the mandates of the association, as they strive to develop the association’s charity efforts in support of members in need. “Although not much, we are pleased as an association to present this cheque with the hope that it can offset some cost to rebuild your home, we sympathise with you and promise to support whenever we can in your recovery process,” Campbell said. According to the police report, the fire was started as a result of an overheated transformer used to power the refrigerator.